CTOs and other technical leaders at the top storage vendors predict enterprise flash storage adoption will accelerate, as denser drives hit the market and prices continue to drop. And they expect speedier flash thanks to a new wave of latency-lowering nonvolatile memory express (NVMe) solid-state drives (SSDs) and NVMe over Fabrics (NVMe-oF) technologies. Taking full advantage of the latest NVMe and NVMe-oF technologies will require architectural work by legacy storage array vendors. That will leave an opening in 2017 for startups to impress users in need of ultra-high speed and low latency solid-state storage for demanding workloads. Also on the enterprise flash storage horizon for enterprises that can't get enough performance are new memory media, such as 3D XPoint from Intel and Micron and Z-NAND from Samsung. Below are predictions from storage industry technical leaders on what the world of enterprise flash storage -- and solid-state storage, in general -- will look like in 2017 and beyond. Daniel Cobb, Dell EMC fellow, VP of global technology strategy, Dell EMC: We're going to continue to see an accelerated adoption of flash, even beyond what's predicted. More 3D NAND fabs are coming online, and they're getting to the point where they have great process yields in place. As we emerge from this little industry flash shortage we've been experiencing during the transition, we'll watch flash adoption continue to accelerate. Hu Yoshida, CTO, Hitachi Data Systems: Flash is going to be the dominant storage media, and that enables us to focus less on trying to tune and manage storage. You don't have to worry about whether this is tier one or tier two or which applications should run on flash. It's all flash. The tipping point has come. It's no longer a price or performance issue. The roadmap for flash is even better. Flash capacities are going to increase dramatically with new technologies like 3D and TLC. The industry is saying by 2020 we'll get to 128 TB flash modules, and that means the price comes down dramatically. 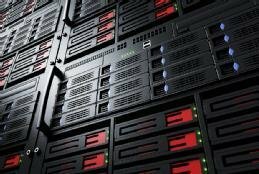 More storage vendors and companies that make their own storage, like Google and Facebook, will start to build their own flash modules as they realize the benefits they can add. They can put more intelligence into the flash module and make flash much more efficient because it is programmable. They can add functions like compression without any performance impact in the controller upstream. Another thing we can do, with programming in the flash drive, is shred the flash drive. When we get a command to erase, we just reformat all the cells – even the cells that are not seen by the controller. This is important for privacy requirements. Vincent Hsu, IBM Fellow, VP and CTO, IBM Storage: In the short term, there will be aggressive adoption of 3D TLC. We have seen people working on [quad-level cell] QLC, four bits per cell. It's very early right now. But I think you will see that happening at the end of 2017. Because of the density improvement, we see flash taking over more workloads. It's no longer just online transaction processing (OLTP). We have seen people asking for all-flash file and object storage, and I think we will see more of those kinds of requests in 2017. Cobb, Dell EMC: We'll stop talking about NVMe and NVMe over Fabrics and start shipping them in 2017. I'm finally seeing a rich ecosystem of NVMe drives take its place alongside the SAS protocol that's existed for so long in storage. And NVMe over Fabrics will represent a new way that hosts talk to storage. The industry won't move wholesale to those new technologies, but will start to move in the sweet spots. We'll start to see use cases where the lowest possible latency or the highest possible throughput will find willing customers. And that could be across external storage, internal or DAS [digital attached storage] storage in servers, and hyper-converged infrastructure. Matt Kixmoeller, VP of products, Pure Storage: The dominant flash technology is going to change from SATA and SAS drives to NVMe drives, and open up the next generation of performance and efficiency. We're now starting to see the availability of dual-ported NVMe drives to make it viable for enterprise all-flash arrays. It's going to be a pretty big transformation for all-flash array architectures. It's not something that you can easily retrofit. It'll require an evolution of both the hardware design and the software architecture to make the most of NVMe. The first wave is going to be NVMe devices and using NVMe within all-flash arrays. The next wave is the NVMe over Fabric transition. This one is pretty exciting because it starts to change the relationship between DAS and SAN storage. If you look at many of the new-school applications -- Hadoop, Spark, Cassandra, all the NoSQL databases -- many of them were architected around the model of server DAS storage. They're typically deployed on white box servers with local-attached flash or disk inside. NVMe breaks down the barrier to where networked storage could have the same performance profile as local DAS. J Metz, R&D engineer, storage networking and solutions, office of the CTO, Cisco Systems Inc.: NVMe and NVMe over Fabrics (NVMe-oF) devices will begin to emerge but not really shake up the storage architecture. Initial deployments will replicate existing features and functionality to gain performance benefits, but they won't really change the game -- yet. True imaginative solutions won't hit customers' comfort zones en masse until well into 2018, but early adopters will find some interesting proprietary solutions from startup companies in 2017. Martin Skagen, CTO of data center infrastructure division, Brocade Communications Systems: We will see all-flash arrays break the 10 million IOPS barrier and NVMe will be a contributor to that advancement. NVMe is really Flash 2.0. When we started out with flash years back, there was one kind of flash. The performance didn't vary greatly between the different types, and there were a lot of things you had to do to make it work well. Then it became more commoditized and really drove the all-flash array market. But NVMe is a revolution where, if you have the right kind of architecture, you can literally leapfrog performance over existing flash. It's not just swapping out your existing SATA flash with NVMe flash. There are a lot of implications to how you deal with the flash itself specifically on the controller. Maybe one or two of the traditional vendors could get there with some work, but it's a costly affair from both a software and hardware perspective. The smaller new guys have a better chance of making it because they're starting from scratch. They don't have any existing architecture they have to conform to, and their installed base is quite small. NVMe could enable customers to drive down flash pricing. If you buy a lot of flash, it might be advantageous to not buy the flash from the vendor you buy the array from. NVMe enables that plug-and-play facility because it's a much more standardized chipset. Hsu, IBM: There will be a huge focus on new protocols to harness the performance benefit of flash. The world is going to have multiple protocols and interfaces. One technology will not satisfy all the workloads. NVMe will be much more pervasive in 2017, and going forward, we will see the industry start investing in maturing NVMe over Fabrics. OpenCAPI allows better optimization to reduce latency. IBM Power Systems developed CAPI [Coherent Accelerator Processor Interface] years ago, and we're making it an open standard. It makes sure that your PCIe bus and your processors are coherent. It cuts tens of thousands of instructions at the storage layer and provides much lower latency. OpenCAPI claims to have 10x performance over the PCIe interface. Cobb, Dell EMC: New memory media will start to creep in. We're finally going to get a peek at 3D XPoint from Micron and Intel. It's not quite as fast as DRAM, but it's faster than NAND. It operates down around the hundreds of nanoseconds access times. And it'll be a great vehicle for showing off the architectural benefits of NVMe because of its low overhead and high performance. It's also going to make for an inexpensive memory device. It's probably been 20 years since the computer industry has seen a new memory medium come along. We'll stop talking about NVMe and NVMe over Fabrics and start shipping them in 2017. We'll also see alternative media like Z-NAND from Samsung -- [its] response to 3D XPoint -- filling the gap between what DRAM and what flash can do. Rather than inventing a new type of media, Samsung is saying they can actually continue to make NAND faster. The industry has focused on making NAND less expensive and larger capacity, but it hasn't focused on making it faster. Samsung's approach technologically is one that's worth watching because any time one of the major memory foundries makes a bet on something, they go into it in a big way. Milan Shetti, CTO of data center infrastructure group, Hewlett Packard Enterprise: Persistent memory will start showing up in compute and storage products. We will see both the DRAM form factor and the introduction of battery-backed persistent memory in what were previously disk form factors. People will first start adopting battery-backed DIMMs [dual in-line memory modules], and as different persistent memory technologies become available, people are going to start adopting [them as well]. Similar to what the consumer industry did for flash to bring the economics down, the IoT [internet of things] industry is doing for persistent memory. Because more and more sensors in the devices need local memory, we're going to see ... persistent memory start to become more affordable. It is going to be a multiyear journey. Metz, Cisco: Advances in persistent memory/storage-class memory will change the nature of how applications and operating systems interact with storage. tiering solutions will collapse. Today's tier one will be tier zero. Today's tier two will be archiving. Shifts in latency and computational bottlenecks will alter the way that data is accessed and how long it takes to process. Some systems -- like some caching mechanisms -- will be removed altogether due to adding in latency and infrastructure bloat. Mark Bregman, CTO, NetApp: Longer term, we see the introduction of the next-generation of storage-class memories. The first wave will use the new high-performance, persistent memory in storage devices. But there's less and less reason to package it to look like storage. I think we're going to see new systems architectures emerge, which may look like a system with very, very large persistent memory rather than smaller memory attached to storage. So we'll start to see the evolution of new systems technologies with massive persistent memory. And then the need for attached storage will be different and more for archive than it is for the high-performance level two or level one that we talk about today. But that's not all going to happen in 2017. We'll probably see new companies coming in with new architectures during the next 12 months. That'll be the leading edge of that wave. What uses cases will drive the need for the new wave of NVMe-based enterprise flash technologies? TechTarget needs articles on this. How will Oracle and DB2's SQL change? How will OLTP and OLAP database design change? Compare it to the move from sequential tape to random disk. Some application design and data storage design made the shift. Some didn't. How will changes in storage change activity outside storage? and interfaces to storage?